Every once in a while, I will hear news anchors on NPR mess up, trip over a word, clear their throat, and then expertly regain their stride and move on. But last week on Morning Edition, I got to witness a real mess up. I’m still not sure if it was human error, or technical error, from the anchors, or from the technicians. Either way it was a moment that caused me to reflect on the quality of programming I receive in my car every day. Unfortunately, I could not find the recording of this moment, or any other blooper to share with you here. A testament to the rarity of them, perhaps? 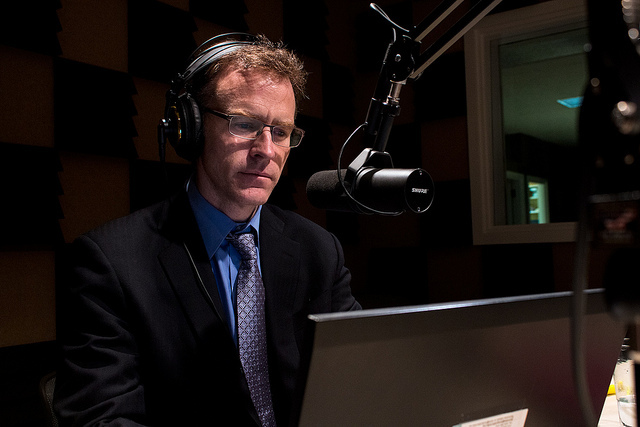 After a loss of momentum reading the intro to a story, Steve Inskeep tried to throw it to a different story. Apparently that package was not ready either, in which case they both laughed and made a joke to stall for a few more seconds. This was enough time for the producers and technicians to finally (a few seconds is an eternity in live media) play the next story. My first reaction was to smile and enjoy this human moment with two people I listen to every day. I felt like I was getting a glimpse at another side of them that we rarely get to see, raw and unscripted. As I continued my ride to work, I thought about how it revealed how truly consistent that show is, and everyone who is a part of it. A week later, I still take that appreciation of quality and consistency with me as I drive and listen.